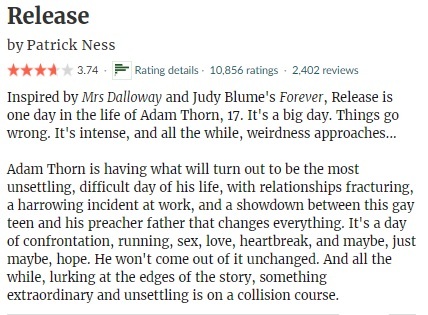 I guess you might know by now I have a weak spot for WWII historical fiction… So it’s easy to understand why, as soon as I read the blurb of We Are Of Dust, I knew I HAD to accept this request and read the story. 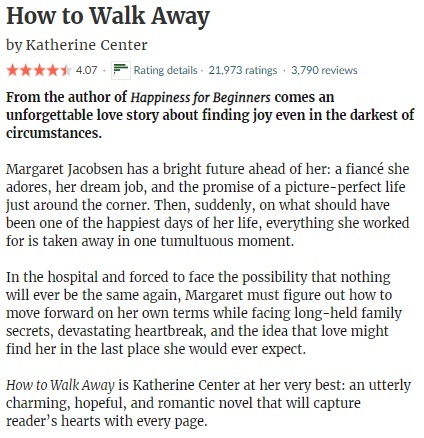 It turned out to be a solid and heartbreaking little gem. The first thing that stands out in We Are Of Dust is that the story is based on true events. 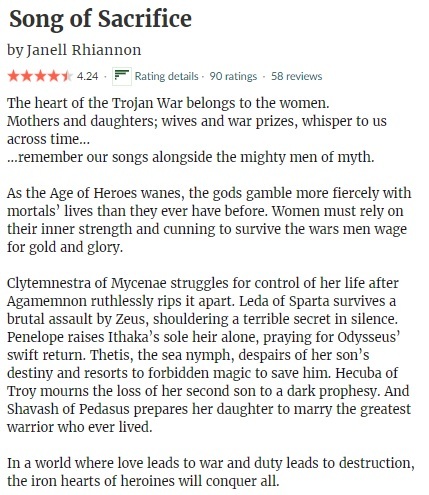 It shows that the author has investigated the details painstakingly and I could really appreciate how we are able to see multiple sides of the war with the help of the different characters. We have the Hitler Youth, we have resistance members, we have (half)Jewish characters hiding and running for their lives… This gives the story a multifaceted aspect and gives the plot more dept. We Are Of Dust switches back and forth between different points of view and we slowly start to discover how everything fits together in the plot. The story focuses on the events around the so-called Kristallnacht in November 1938 and what happens to the different characters both during and after that horrible night. I personally could really appreciate the focus on that event as many see the Kristallnacht as the beginning of the Holocaust and stories don’t tend to stand still and help remember that fact. While things can come over as chaotic in the beginning with the different storylines and characters, things soon improve as you get a better idea about how everything fits together. 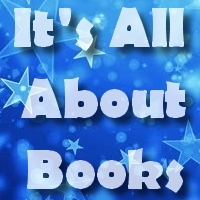 What I didn’t know was that We Are Of Dust is actually the first book of a series, and the story ends with a cliffhanger that will leave you wanting for more… Especially if you expect to get all the answers by the final page. I suppose me wanting to know more is a good sign though. 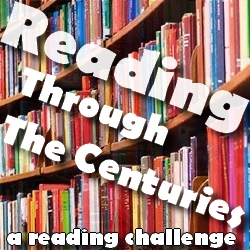 If you enjoy WWII historical fiction, you should definitely give this story a try. Alice Sommer is the half-Jewish daughter of an important German physicist, forced to hide with her litlte sister as things get more dangerous. Kurt Hertz is a member of the Hitler Youth, but is forced to run after he attacks his superior to defend his friend… The two meet while they are on the run, hiding their true identities from each other and making each other believe they are not in fact the exact thing they can’t stand. Somehow Alice and Kurt end up on the same ship that is supposed to bring them to freedom… But is that really true? And how long can they hide their true identities? If you enjoy a good WWII historical fiction story based on true events, We Are Of Dust is a worthy title to add to your wishlist. It’s a solid start of a new series with a focus on the events on the Kristallnacht and the story of the German ocean liner MS St. Louis. With the help of multiple POVs, the story shows us different sides of the war and how visions about what is right and wrong can change over time. It’s an excellent representation of that period of time and I will be looking forward to find out what will happen to Alice and Kurt. Time for another round of Yvo’s Shorties! This time a story that unfortunately disappointed me and another that completely blew me away. 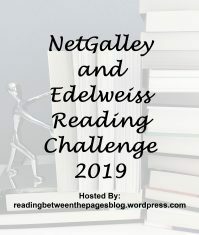 The only thing that saved me from DNFing Be Frank With Me by Julia Claiborne Johnson was the main character… While I enjoyed every single perfect second of A Thousand Perfect Notes by our fellow book blogger C.G. Drews. 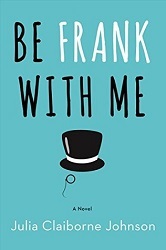 I have been meaning to pick up Be Frank With Me for quite some time now, mostly because I love my quirky characters and Frank sounded like someone I just HAD to meet. 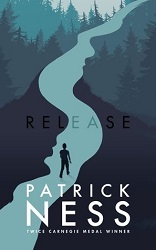 My TBR jar thought it was about time I finally read it, and although my experience wasn’t all that positive there is one thing for sure: I’m glad I finally did get to know him. 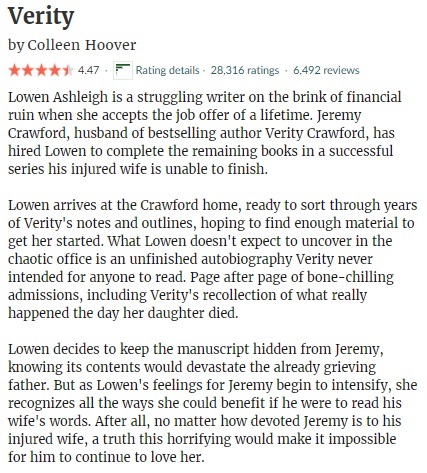 The premise behind this story on its own is quite interesting, with the reclusive writer being forced to write a few book after falling for a ponzi scheme. But M.M. Banning, also Mimi, doesn’t steal the show nor is the main character here. Not even the narrator of this story, Alice, seems to be in the true spotlight. Oh no, that place is reserved for the young Frank. He is the sole reason I made it to the final page, because there were things I unfortunately struggled with considerably… There was just something about the writing style in Be Frank With Me that made it hard for me to stay focused and the slow pace didn’t help either. The plot is pretty basic and I really felt the story dragged in parts. 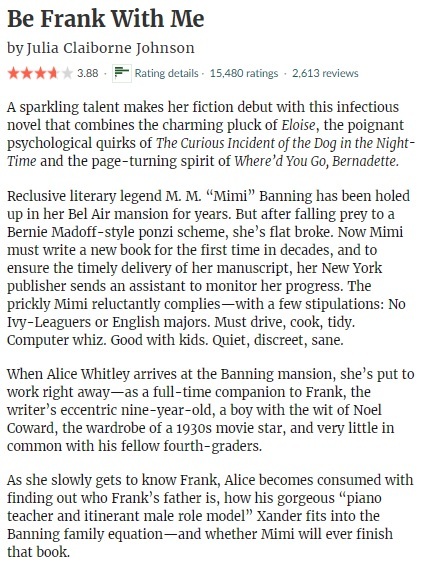 I wasn’t at all interested in what was happening in the Bel Air house in general or if Mimi would ever finish her book… Not a good feeling to start with. The many Hollywood references and Frank being Frank were what made me keep reading though. His character is both quirky and unique and is definitely what makes me give this story the benefit of the doubt. 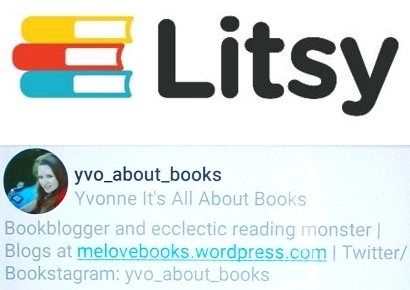 It’s always fantastic to see a fellow book blogger being published and I’m sure a lot of you now C.G. Drews for either her Paperfury book blog or gorgeous Instagram account (or both!). 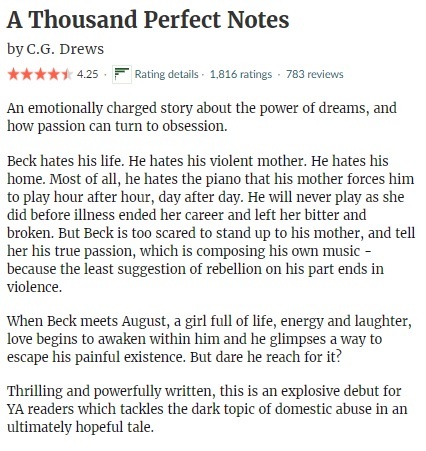 Her debut A Thousand Perfect Notes was published last year and I’m still kicking myself I didn’t pick it up sooner… Because the reviews are right: this is an absolutely fantastic and heartbreaking read! 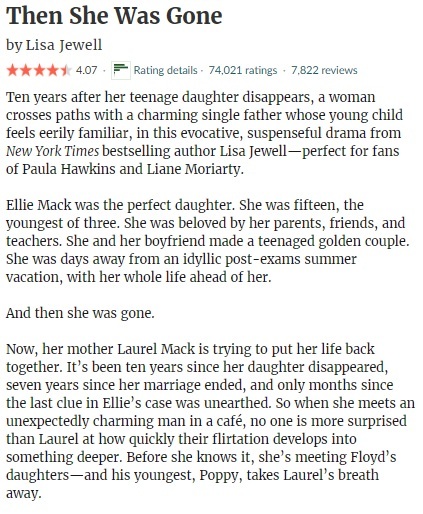 Well worth the 5 stars and without doubt one of my 2019 favorites. There is just something about the writing style that will draw you right in and I wasn’t able to let go until I reached the final page. I loved how big of a role music played throughout the story, the many musical references both relevant to the plot and enchanting at the same time. 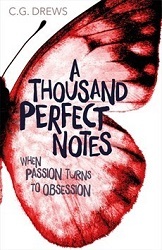 The power of A Thousand Perfect Notes is in its characters though. Both Beck, August and Joey are so easy to love; you will adopt them straight away and your heart will ache for them as the plot evolves. I love how the personality of Beck and August are completely contrary and balance each other that way. The Maestro is a horrible character and source of a few trigger warning worthy elements including abuse and violence. She is the perfect villian for this story though and I loved her background and the fact German words are incorporated in the text. A Thousand Perfect Notes will make you laugh and cry and the characters will stay with you for a long time. 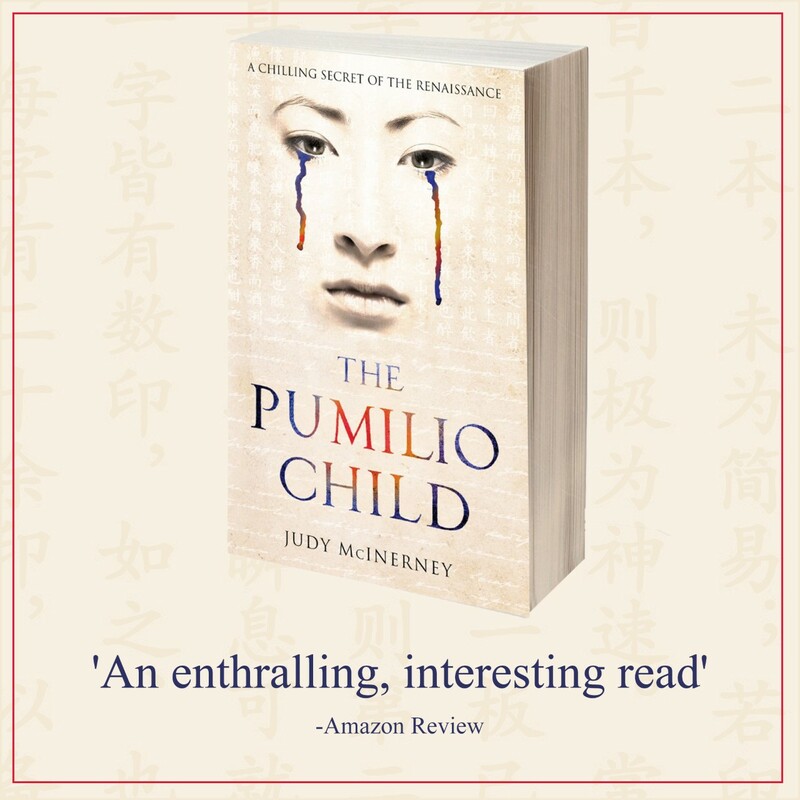 It’s a fantastic contemporary read which balances happy moments and a romantic interest with a thousand musical notes and a dark twist. If you like the genre and haven’t read this debut yet, you should definitely remedy that. I personally can’t wait until her new story comes out in April! Time for another round of Yvo’s Shorties! This time a sequel I have been meaning to read ever since enjoying the first book last year and a 2018 hyped release I’ve been putting off but was also really curious about. Moon Over Soho turned out to be an excellent read, while The Woman In The Window failed to convince me completely. I’ve been meaning to continue the Peter Grant series ever since I read the first book last year… With book number three ordered and currently on its way to my home, I thought it was about time I did. Not only do I love the covers of this series, but I really like the mix of different genres the stories represent. 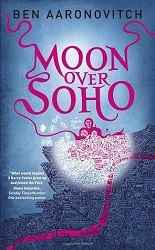 Moon Over Soho can be read as a stand-alone, although you do miss background information about the characters and magic… I suggest reading them in order anyway, since the stories are without doubt entertaining. 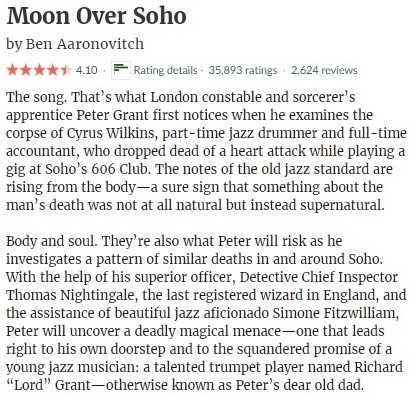 Book two has a musical twist and includes the London jazz scene as one of the elements of the story. The focus of this story is on Grant and Nightingale again, and we have new supernatural beings to hunt. The writing style makes it easy to read the story and the sarcastic and dry humor was right up my alley. 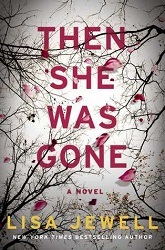 I liked the plot and the way the story follows two different cases at the same time. 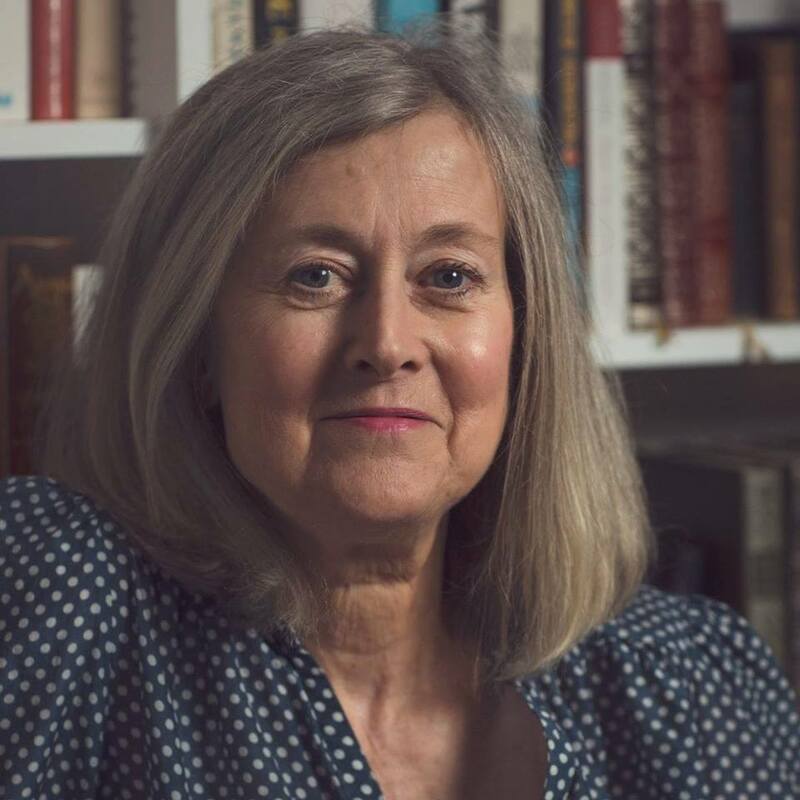 Part of the plot is solved by the time you reach the final page, but we have a new dangerous character still on the loose we will probably see more of in book three. I’m really enjoying my time with this series so far and I will be looking forward to the next book. Surprised I hadn’t read this one yet? 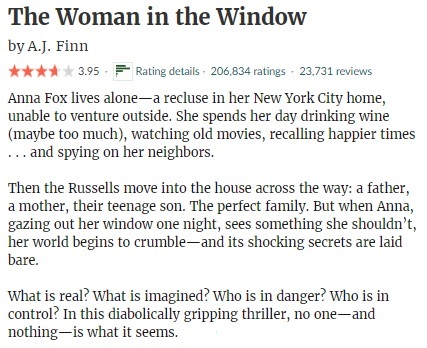 With all the hype around The Woman In The Window last year and the mixed reviews out there I had decided to stay away… But curiosity took over and with the news of a movie on its way I decided to give in and give it a go. I ended up having mixed feelings about this story. 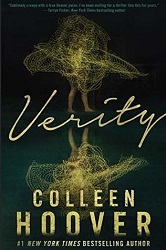 In a way this is quite an entertaining psychological thriller with the typical unreliable narrator you understand right away can’t be trusted to tell you the truth. I appreciate the focus on agoraphobia, as this story might help people understand better what it is like to have to live with it. 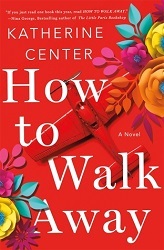 The writing flows and makes it easy to keep turning those pages, although I do admit the pace was slower than I would have expected and especially in the first half of the book. 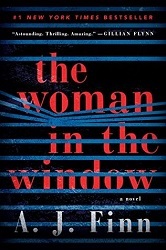 The Woman In The Window is mostly focused on the main character Anna and nothing much happens until you reach the final part. Another thing that was a huge turn off for me: I was able to guess almost every plot twist from a mile away. Especially the first big one was so easy to see through that I was really disappointed. Anna is not an easy character to like, and while I feel for her having to deal with her agoraphobia and nobody believing her, I was never able to warm up to her or the other characters for that matter. 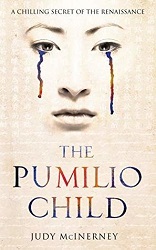 The plot itself was a bit weak and, as I said before, nothing much was happening during most of the story, which made the pace feel a tad slow and the story dragged in parts. It wasn’t all bad and there were certain aspects of this story I liked, but I wasn’t blown away by it either.